New Delhi: Following the takeover of the Medical Council of India (MCI), the Board of Governors (BOG) have now constituted a new Ethics Committee containing eminent medical practitioners from across the country. 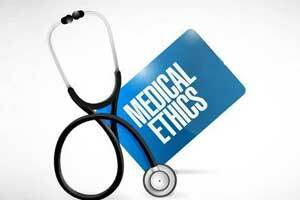 The Ethics committee of the MCI is in charge of upholding the principles of Medical Ethics and has the power to try all the cases related to Medical Ethics and impart punishment to doctors whose conduct stand in violation of the MCI code of Medical Ethics. The MCI prescribe standards of professional conduct and etiquette and a code of ethics for medical practitioners. Giving the rising number of cases of alleged medical negligence cases against doctors, the ethics committee indeed has a tough job before itself to maintain a balance by disregarding mischevious complaints against doctors, yet at the same time giving apt punishment in cases of true misconduct. Our state head CM interfered into so many lives ofINDIA and abroad .Iam a true citizen of trueINDIA . I will be greatful if I am not meddled by ex MLA and now changed party.They were not present in my childhood to see my mother rearing 5children with meagre income making both ends meet still recollect starved days and debts owed.